For as long as Time Lords live, they sure seem to have a fairly fatalistic view of life and death, which is an interesting contrast to The Doctor and The Master. Beginning with the later, The Master would do anything to prolong his life, including attempting to steal The Doctor’s regenerations. Conversely, The Doctor seems to have a death wish, engaging in increasingly risky behaviors, rushing into danger with no thought given to his own safety–let alone the safety of his companions. Though, when each regeneration nears the end, he does reveal a certain amount of fear, regret, and perhaps even a desire to live just a bit longer. The Time Lords, as a whole, take the proverbial death cake. They orchestrated a very long game to escape The Doctor’s destruction of both Gallifrey and the Dalek Empire. So terrified of the prospect of death were they that they took a universal suicide pact and decided to destroy all of creation, hoping that they would ascend to an immaterial, intangible existence. As appealing as that sounded, The Doctor could not be enticed, and so he, with the unexpected help of The Master, thwarted their plans and sent the Time Lords back into a time-locked Time War. * Soon thereafter, The Doctor was exposed to a lethal amount of radiation and began a painfully slow regeneration process. 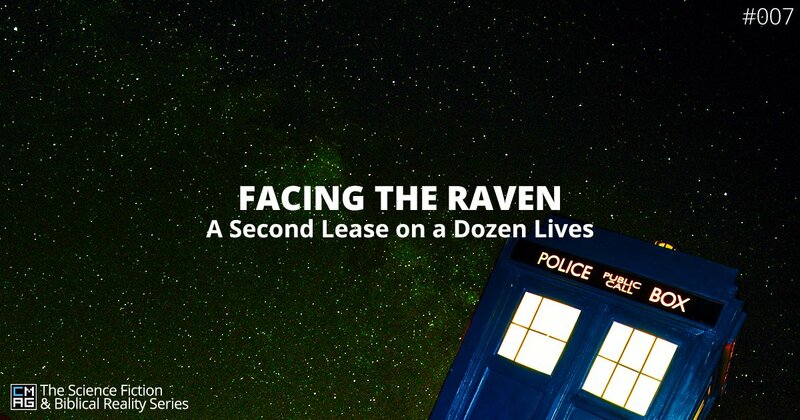 Faced with the immediate demise of his current incarnation and the birth of a new one, he woefully stated, “I don’t want to go,” even though just a day or so earlier, he’d been saying that, perhaps, Time Lords live too long. Clearly, The Doctor is conflicted, holding his life loosely one moment and yet clinging to it the next. Regardless of one Time Lord’s inconsistencies, the message woven throughout all of this is that, despite the nearly infinite lifespan of a Time Lord, they still fear the unknown finality of death. No matter how long they might live, no matter how much they would have had the chance to experience and enjoy, the Time Lords behave like any mortal creature being asked the question of mortality without any way to answer. They can deny it, hide from it, cheat it, and even attempt to supersede it, but death will still come to Gallifrey. There is no way around it; we all must go through it and find out for ourselves what awaits on the other side. Even with their regenerations, it stills “feels” like dying, and here is where experience might be with matters, for death is very much an experiential and existential reality that we can really only discuss in metaphor an symbology as we have no concrete experience to speak from. Thus, if a regeneration feels like dying, then we can go ahead and stay that, except for the lack of finality, a Time Lord dies when he or she regenerates. They fear death and dying, then, because they have done it more than most. They have suffered, bled, died, and come back, only to do it all over again. No wonder they are so severely unhinged by the time the Last Great Time War enters its final phase. They have been through that mortal veil too many times, and they do not want to go through it again. Yet, for all of their experience with dying, death is still an unknown to them. It’s still frightening, still stalking them, and for such a noble people like the Time Lords and Ladies of Gallifrey, the persistent fact that they do not know what awaits them once their current regeneration has worn a bit too thin is too much to bear. Thus, they claw and scrap at the walls of their time-locked prison and would rather drag all of creation down with them than face death once more. “Misery loves company,” seem too cliché and yet too true. However, we Christian are not without experience where death is concerned. We spiritually die daily to our selfishness and sinful desires, learning first hand the pain that it brings. Much like a Time Lord’s regeneration, we must be constantly becoming someone new. And yet, unlike a regeneration, where good and bad parts of a Time Lord’s personality might be lost, we will only come out better on the other side. This is a resurrection in which all of us is purified, glorified, and raised to its fullest potential. A Time Lord regenerates into what is essentially a new person; we become a new creation but remain who we. In fact, we become more of ourselves in the process, removing anything that might have polluted the personality given to us by God. Time Lords fear the loss of self that death and regeneration brings; we embrace the discovery of our truest selves that is uncovered through our resurrection. Time Lords fear the unknown and final nature of death; we need not fear death because the experience is not unknown to Jesus, through who we will pass through death into an enteral, resurrected life. *How many instances of the word “time” can one squeeze into one sentence before deciding into absurdity?